Bare chested young man stretching muscles before starting a workout routine. 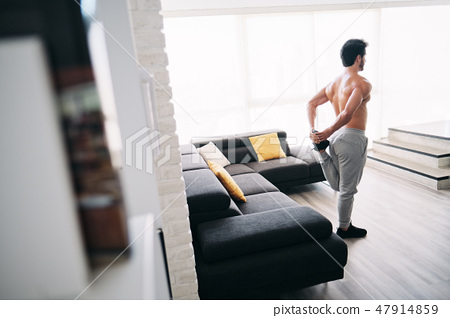 Handsome hispanic male athlete exercising for wellness in his living room. Latino people doing fitness and sport at home.